Unveiled today by a fresh press release and interesting teaser trailer is The Vanishing of Ethan Carter. While the clip might have an air of an eerie take on Pixar's Up, this will likely be a game designed to scare your pants off. The Astronauts, the developers behind this new property, say that this is a fiction horror game that they've designed to be played alone, in the dark, on the PC with a pair of headphones. That sounds like a recipe for fright. The developers say this is the first screenshot for the game. The Astronauts is a game company that was formed by developers from People Can Fly, the studio that lead development on Epic Games' Bulletstorm. 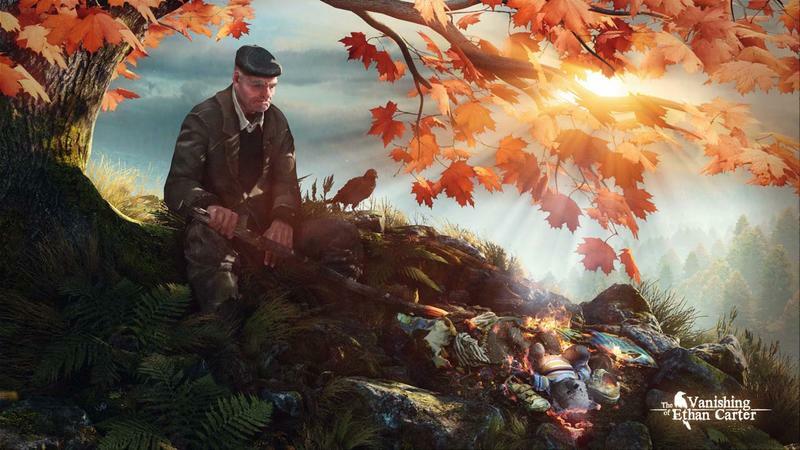 The Vanishing of Ethan Carter, according to the press release you'll find by clicking the button below, will launch for digital distribution platforms on the PC this year. We'll have more on this odd take on "fiction horror" as it comes. Inspired by the weird fiction stories and other tales of macabre of the early 20th century, The Vanishing of Ethan Carter is a game to be played at night, alone, and in headphones. With The Vanishing of Ethan Carter, The Astronauts – a team comprised of People Can Fly (Bulletstorm, Painkiller) veterans – aim to evolve immersive storytelling in games. It's set for release on PC via digital distributors in 2013. As a detective with the supernatural ability to visualize scenes of lethal crimes, you investigate the kidnapping of a young boy, hoping to save him before it's too late. The investigation leads you to a beautiful mountain area, where you come across a severely mutilated body of one of the kidnappers. Using both your paranormal skill and modern detective tools you discover the mystery behind the trail of corpses in the valley, the roots of an ancient force ruling the area, and the fate of the kidnapped boy. "What we care about the most is that the players feel like they're really there. Immersion is our number one priority", said the game's designer, Adrian Chmielarz. "It's a game about exploration and discovery. We're not abandoning the gameplay – on the contrary: we're trying to strip it down to the bone and make sure it's always meaningful and truly makes the experience better." The game is being developed on the latest version of the industry-leading Unreal Engine 3 technology from Epic Games, as well as exciting new technology, the details of which we will reveal in the coming months. The Astronauts is small independent studio located in Warsaw, Poland. It was founded last year by Adrian Chmielarz, Andrzej Poznanski and Michal Kosieradzki. They were the original founders of People Can Fly, where they lead the development of such games as Painkiller and Bulletstorm, and lately worked on Gears of War: Judgment. "There are lots of great things about the big world of AAA games, but there's even more appeal to us in making games that feel and are personal, and where the only censors are the creators and the public. We want to make games which we are 100% responsible for. By starting The Astronauts we went back to the way we were ten years ago, when we were making Painkiller and were doing it completely our way. The game that we're making right now could not be more different, but the studio spirit seems to be exactly the same."